Brewery Visit: Barrel House Brewing Co.
Molly and I had a chance to take a nice drive up to Paso Robles (pronounced row-bowls for some). We spent three days visiting several wineries (I’ll leave the wine reviews to molly’s Bar We There Yet??). We had a chance to visit the wonderful Firestone Walker, where we enjoyed a private tour, and several tastings. Among our usual favorites from this brewery, we were happy to try the Velvet Merkin (Barrel Aged Velvet Merlin – coming in bottles soon). 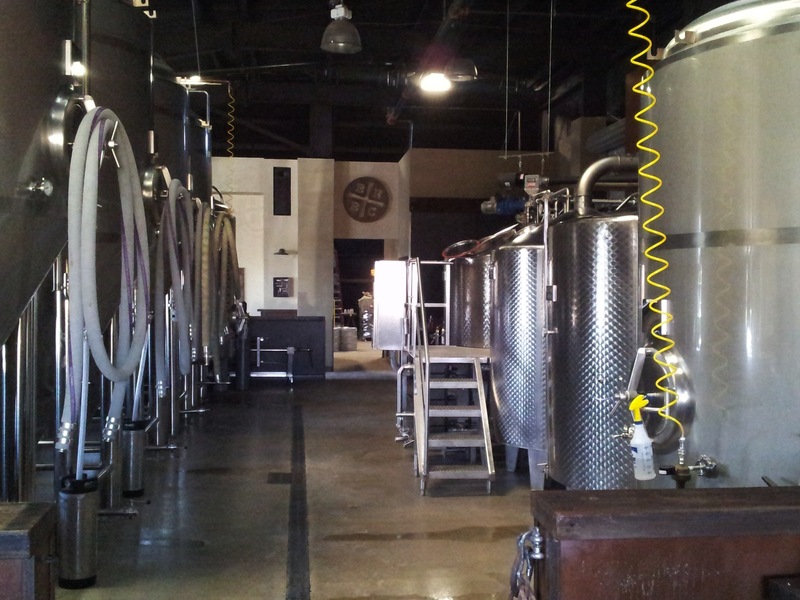 While searching for other breweries to visit, we came across news for the grand opening of Barrel House Brewing Company, just a mile or so south of Firestone Walker. We were excited to see another large brewery open in the area, but bummed that we would be heading back home just one day before their February 23 Grand Opening. We sent them an email, asking if we could stop by for an early morning visit on Friday, and they graciously obliged. Chris took us around the grounds including a beautiful garden, waterfall, and stage for live music. We sampled their Kolsch and their IPA. both were clean and true to style. They talked about getting used to brewing on a much larger system, and the adjustments they intend to make on their tried and true recipes. Overal, we had a great time meeting the Barrel House Brewing Co. crew, and are looking forward to checking back in with them on our next visit to the area. They are a genuine bunch and are certainly passionate about their craft. We wish them the best of success. Be sure to visit if your passing through.